It’s a good thing we have the five senses. Without them how would we experience the world around us? 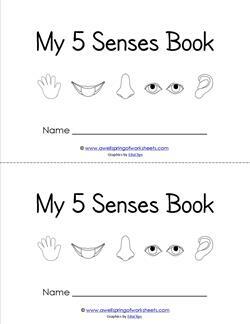 All the resources in this section can be used as a unit of study for the 5 senses. 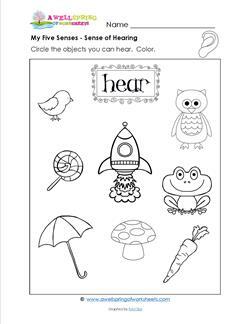 Worksheets, vocabulary cards, cut and glue, booklets, matching activities and lots of coloring are all included to help kids explore and grow in their knowledge and experience of the senses. An added bonus: these materials intertwine with language arts. Kids practice reading, tracing, and writing skills. Go to this page to see all the resources having to do with the human body. 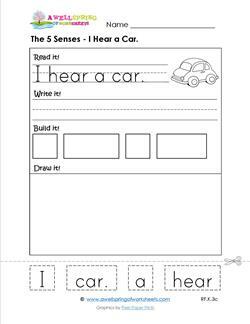 Perfect for use in center times or in pocket charts, these five senses vocabulary cards come in four different styles. One comes in black and white with the sensory organs, the other three come in color. One of these has images of the sensory organs, one has graphics of children exemplifying the five senses, one has both but is meant to be cut apart and matched. Kids love to match things. It makes them feel so smart…and they usually are. 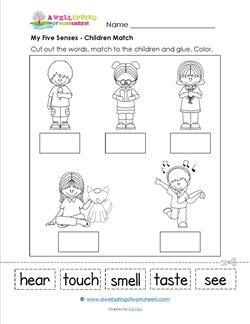 This set of my five senses matching worksheets gets kids thinking about actions and objects that relate to the senses. The first few worksheets are pretty straight forward, but the last two can be a little tricky because some of the objects can fit into several categories. Kids will have to think twice about these. For your convenience, answer sheets are included with every worksheet. Want language arts and the 5 senses to collide? BAM! You came to the right place! 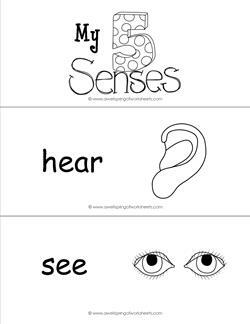 These five senses worksheets address all five senses while offering sight word practice. Also reinforces the five senses words of see, hear, feel, taste, and smell. Kids read each sentence, write it on the primary writing line, build it by cutting out the words and glueing them in place, and draw a picture in the box. Coloring their picture and the picture already on the page is icing on the cake.